Our quality Moudled PE Bunds are designed for the safe and bund regulation compliant storage of liquids. These robust units are made from 100% polyethylene with broadband chemical compatibility. 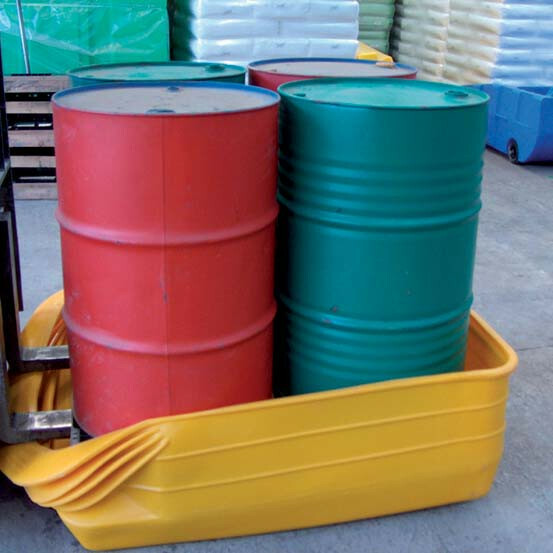 Movable Drum Bund or IBC drip tray – sump of 310 litres empty. 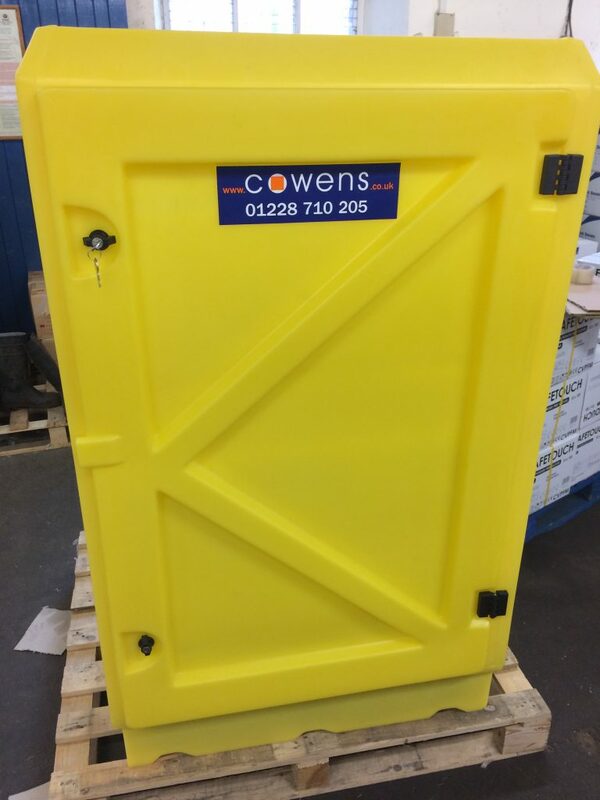 Designed to completely accommodate a release from a drum, this product can accommodate 4 drums on a pallet to current storage regulations, or an IBC as a drip tray only. Place the drums/IBC in the container on a pallet by lowering the unique compressible front with the fork lift. When the forks are withdrawn, the front returns to its normal safe height, creating a limited bund for drips and splashes. 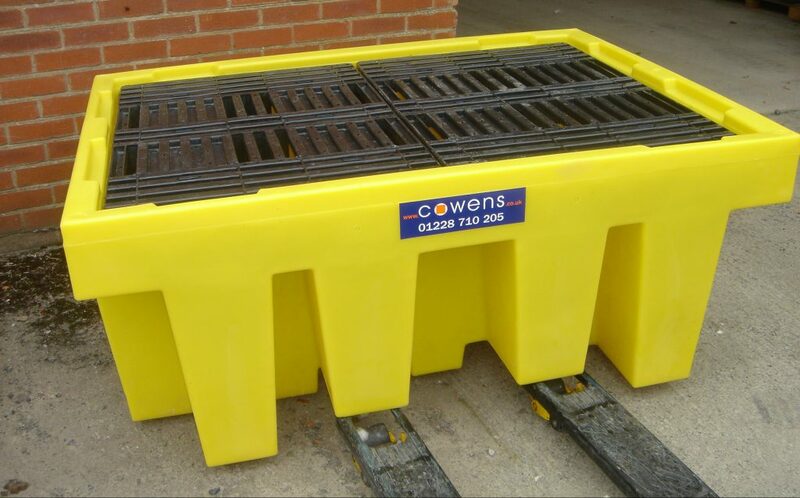 To suit a 1200 x 1000mm wooden or plastic pallet.